It looks like a war zone! Severe weather unfolding across portions of the northern Plains have spawned multiple tornadoes across Nebraska. Watch the catastrophic videos below! 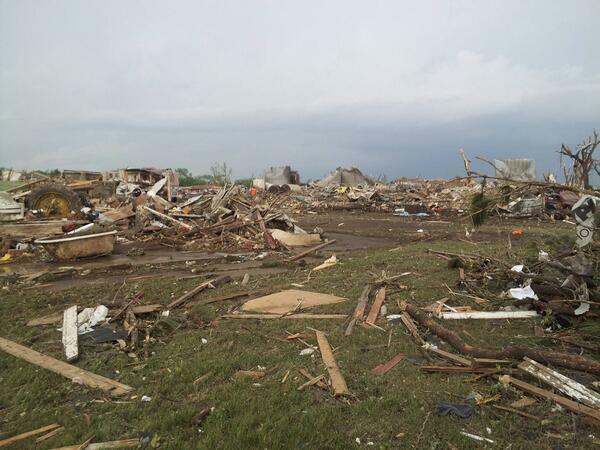 At least two tornadoes cut across an area east of Norfolk on Monday, devastating the town of Pilger, killing at least one person and injuring at least 16 others. They are now in care at Faith Regional Medical Center in Norfolk, Nebraska. Severe weather will persist over the next few hours, and the area of greatest concern lies over northeastern Iowa, far southeastern Minnesota, and southwestern Wisconsin where damaging winds will blow and tornadoes cannot be ruled out. According to Accu Weather, the severe weather threat will not end today however, as severe storms are expected to continue to fire up across the Ohio Valley this week.